A tin-glazed earthenware dish painted with a coat of arms of a leaping stag on a shield below a knight’s helm supporting a crest of a stag, set against foliate mantling. 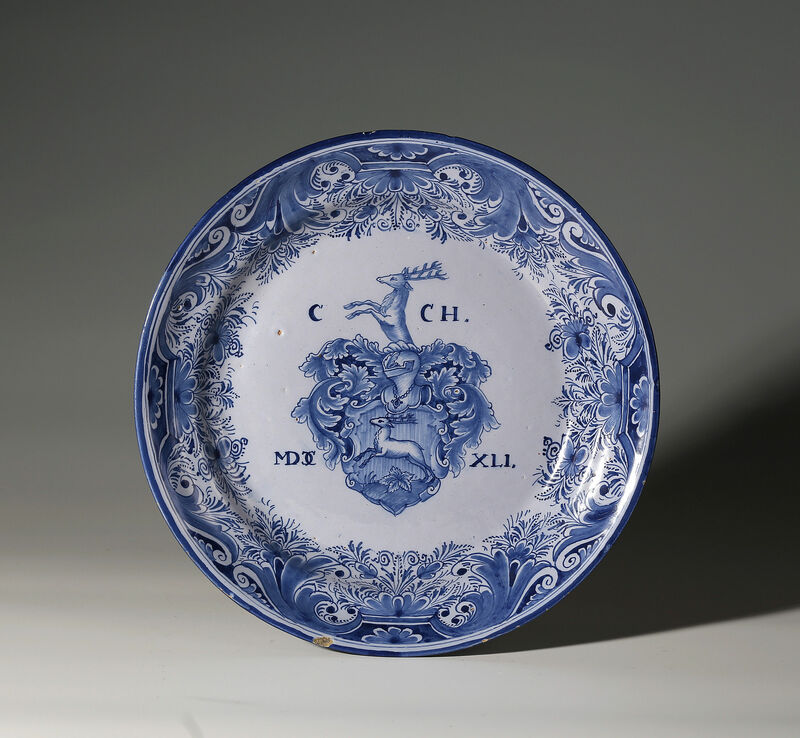 The initials C CH around the crest and the date MDCCXLI, all within a border of plants and scrolls. 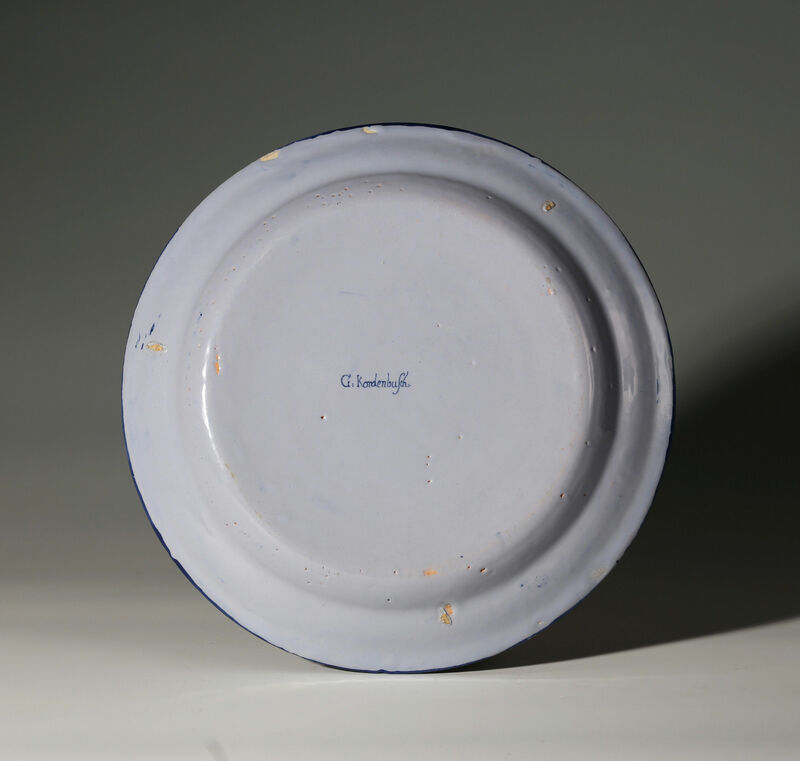 It is unusual for Nuremburg faience to be signed in full by the artist, in this case the painter Georg Kordenbusch. He and his workshop, produced the best work of the second period of Nuremburg faience (circa 1725-55), considered by many to be the heyday of its production. Literature – Deutsche Fayencen, Adalbert Klein, Dusseldorf (1962), p. 169.